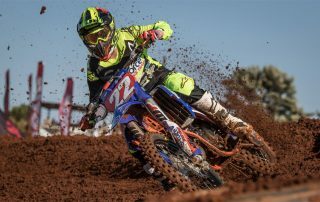 Round 3 of the TRP Distributors SA MX National Championship held at BORC, Bloemfontein, Free State on 19 May 2018. Video by Kyle Quintao. COLD AND WINDY FOR THE D-FORCE RACE TEAM IN BLOEMFONTEIN! 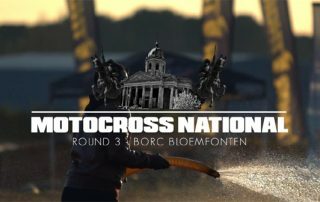 BLOEMFONTEIN MX NATIONAL ATTRACTS RECORD ENTRIES! 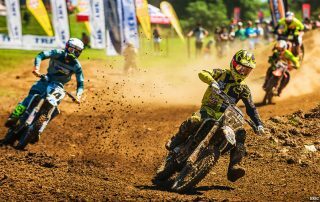 Round 2 of the TRP Distributors SA MX National Championship held at Thunder Valley, Pietermaritzburg, Kwazulu-Natal on 7 April 2018. Video by Kyle Quintao. 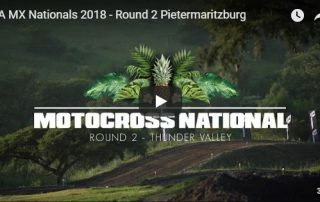 PIETERMARITZBURG DELIVERS ANOTHER SUPERB ROUND OF NATIONAL MOTOCROSS! RAAFF DOWN UNDER IN THUNDER VALLEY! 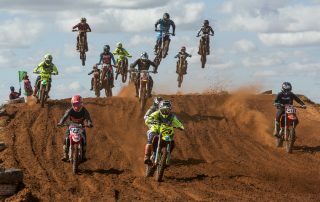 VIDEO RECAP – ROUND 1 AT ROVER MX IN P.E. Round 1 of the TRP Distributors SA MX National Championship held at Rover MX, Port Elizabeth, Eastern Cape on 17 February 2018. Video by Kyle Quintao. 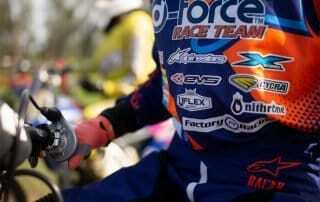 PREPSOL PARTNERS WITH SA MX NATIONALS!